Millions of people around the world know of him. Yet this American frontier prophet of the early 1800s found little honor and eventual martyrdom at the hands of an angry mob in his own country. Who was this Joseph Smith, and what was it about his remarkable life story that inspired such impassioned rancor or unflinching loyalty and even reverence? I saw the film at the preview event! So different from the original with new content and interviews. 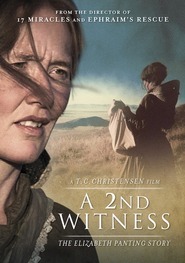 Very powerful film! !